Recently, I was sent a sample of tea to review and let me tell you, I love it!!! I only have a few left in the box and I’m really rationing them at this point ;-) The tea that I was sent is called Storm Tea and it has to be some of the best tea that I’ve had in a long time. Let me set the stage for you...okay, they sent me a box of their Organic Lemongrass & Vanilla Tea, along with one single serving of the Organic English Breakfast Tea. The packaging is really nifty. The box is transparent, so you can see what you’re getting and I like that. The box contains fifteen of their silk pyramids. 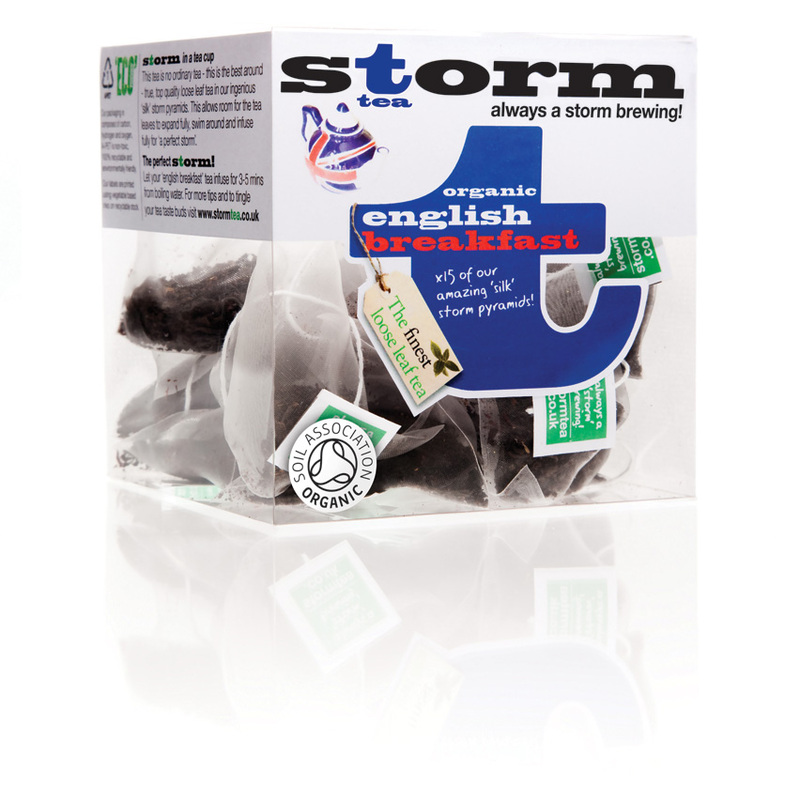 The various teas are organic and whole leaf teas, which deliver a delicious, clean taste. The pyramid design of the bags allows space for the tea to swoosh around, so you get all of the flavor and have ‘the perfect storm’ in your teacup. Check out the photo below to see how it all works to give you an excellent cup of tea! I found both the Organic English Breakfast Tea and the Organic Lemongrass & Vanilla Tea very tasty, and as I mentioned before there is a wonderfully smooth, clean taste to these teas. Between the two, my personal favorite was the Lemongrass & Vanilla Tea. This variety contains: lemongrass, apple bits, hibiscus blossoms, orange peels, vervain, and vanilla pods. This flavor sells for £3.99 per fifteen count box and the price varies with the other flavors. 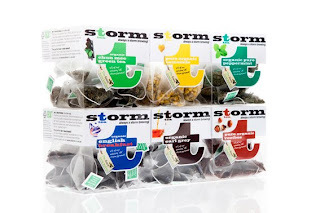 I had never heard of Storm Tea before, so I’m glad that I’ve been introduced to it. I’m very partial to fruit teas and herbal teas, so I look forward to trying their other varieties. Check them out on Twitter. 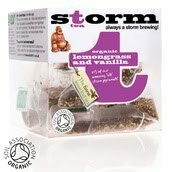 I would definitely recommend this tea to all the tea lovers out there and to those who enjoy a truly refreshing drink. Enjoy! Love the tea. Hope you're well.